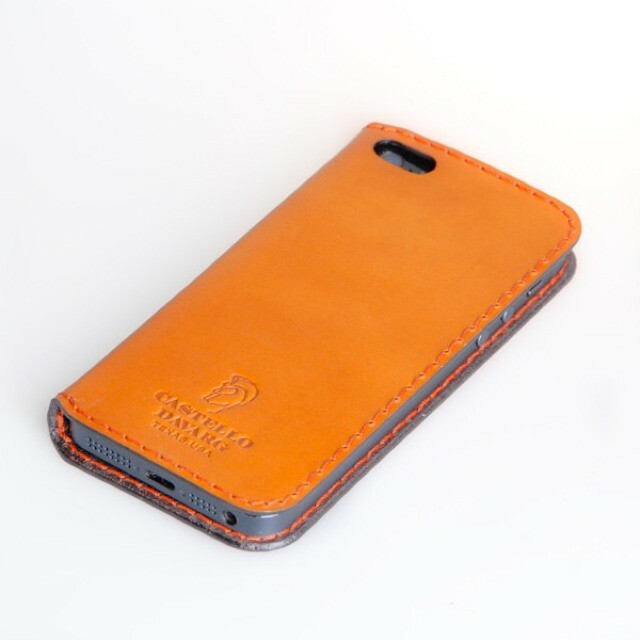 Cult of Mac reader Derek Stein put me on to this hot hot leather case for the iPhone 5. It’s similar in intent to the TwelveSouth SurfacePad I re-reviewed on Friday in that it’s a simple wraparound leather cover. The differences are that it looks less functional and much longer lasting. The case is called the Kanams and comes in a delicious variety of browns. It uses an adhesive pad to stick the iPhone inside, and has cutouts for the camera and flash. What it doesn’t have that the SurfacePad does is an integrated stand. Then again, it’s thicker, it’s stitched around the edges to weather the constant pocketing and de-pocketing experienced by any iPhone. Oh, and it opens backwards. This threw me at first – I’m so used to books, surely an iPhone case should open spine-left, too? But as I try to flip open the front of my own iPhone case with my thumb, I discover I can’t. Other advantages of this backward opening are access to the mute and volume switches, and the fact that the flap stays out of the way when you’re taking photos. 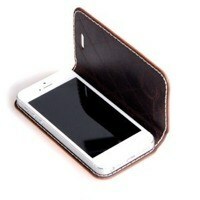 Add this to the fact that the Kanams case is just $45, and I might have found my new iPhone case.